"Our Sovereignty is Gone" - No it is not! Even though our rights are being stripped at every level, and our resources have been sold off, and we are enslaved to an avaricious financial system which cares nothing for our future – we are still a Sovereign people. It is still our right to direct the affairs of our state, it is the right of the citizens to decide our policies. It is not true to say that we have lost our sovereignty to Europe. To loose or give away our Sovereignty is an impossibility, it is our natural and fundamental right as a people. 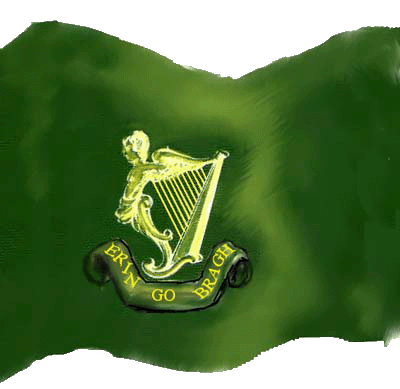 Even if we could decide to give away our sovereignty, which we cannot, it would have to be by referendum, to change Bunreacht na hÉireann – and no such referendum has taken place. If government acts as though our sovereignty is ‘gone’, temporarily or otherwise, then they are acting contrary to our sovereign rights and contrary to our Bunreacht. We should not accept liberal discussion about our fundamental rights as citizens or any encroachment into them. Such discussions are always to convince us that what is happening has some legitimacy in democracy and law, they are to create space for attacking the people. Government Ministers are constantly telling us that our sovereignty is gone, media and other commentators accept this and therefore cannot counter that we should assert these rights, the argument then is limited. Once we accept someone’s right to enslave us then all we can do is debate the terms of it – not question the actual fact of the slavery itself. As a people we can enter any arrangements we like with other peoples, or alliances of other nations, like the EU, but these can only ever be equal relations – our sovereignty remains intact always. If a relationship is one of subservience then let us call it that so people can understand the truth. Deals made, entered into by government, or inner circles without even consulting government, the Dáil or, God forbid, the citizens, and that encroach on our sovereignty are illegitimate. Just as debts accumulated from rack rent imposed by a landlord in the past would not stand once the tyrant was removed, we are not at all tied to the impositions of the IMF/ECB ‘deal’. Only the people of Ireland should decide what debt is legitimate and what is not, and foolish or enslaving deals should not be entertained. Previous Previous post: Cén sórt Saoi atá againn le Micheál D? Next Next post: Is Inequality in our Society Accepted?